Apocalypses come in all forms. And yet, if someone says “post-apocalyptic wasteland” I automatically picture a pretty similar scene, not matter the context. The image in my mind is of a barren landscape, probably a bit desert-like, maybe with some ruined buildings dotting the horizon. Why is that the default? I’m not sure. It’s not that I haven’t read stories where the world floods, or superstorms wreak havoc on the Earth, or climate change sends Earth into a deep freeze. And that’s not even touching on the creative ways aliens can kill us all, or the more permanently cataclysmic astronomical events that could destroy all life on Earth. So why is the barren landscape what pops into my mind in the absence of other settings? I’m starting to wonder if it’s not a legacy of the Cold War. Did the fear of a nuclear holocaust imprint itself so strongly on our collective consciousness that it’s still our go-to apocalypse scenario? Maybe it’s just me, and maybe it’s a product of the specific places and times where I’ve spent my life, but I write this as someone who has lived something like 85% of her life post-Cold War. That’s not to say that nuclear apocalypses aren’t a perfectly valid choice of setting, although I do prefer it when the background behind them is well thought through. The truth of the matter is there are many different possible scenarios that destroy the world as we know it and the possible permutations are endless. From the mundane (see above) to the cataclysmic (Earth being torn apart) to the weird (the laws of physics suddenly stop working and neutrinos start reacting — I will never forgive you for that, 2012). We want to give authors the opportunity the explore all sorts of scenarios with all sorts of characters. For Defying Doomsday we’re also looking for stories with disabled or chronically ill characters, but that doesn’t mean the apocalypse needs to take a back seat. Tsana Dolichva is a Ditmar Award ­nominated book blogger. She is editing the anthology Defying Doomsday with Holly Kench, the managing editor of Visibility Fiction. As editors and readers of science fiction, who also live with disability and chronic illness, Tsana and Holly have often noticed the particular lack of disabled or chronically ill characters in apocalypse fiction. They are excited to share Defying Doomsday, an anthology showing that people with disability and chronic illness also have stories to tell, even when the world is ending. To support the anthology or to preorder a copy of Defying Doomsday, visit: http://pozi.be/defyingdoomsday . Your support is greatly appreciated! 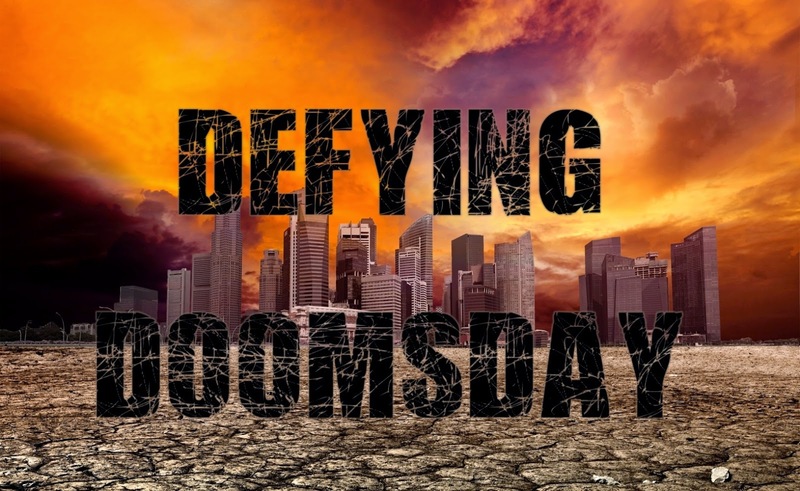 You can find out more about Defying Doomsday at the website or follow us on Twitter and Facebook. Twelfth Planet Press is an award winning Australian publisher, championing underrepresented voices in speculative fiction. In 2011, Alisa Krasnostein won the World Fantasy Award for her work with the press, and Twelfth Planet books and stories have won the Shirley Jackson, WSFA Small Press, Aurealis, Ditmar, Chronos and Tin Duck awards.